The new Master Bus module allows control of the X-Rack´s internal Master & Record stereo busses, as well as acting as a studio control room module. It has mix insert and insert sum points, mono compatibility check, and metering of the master out. 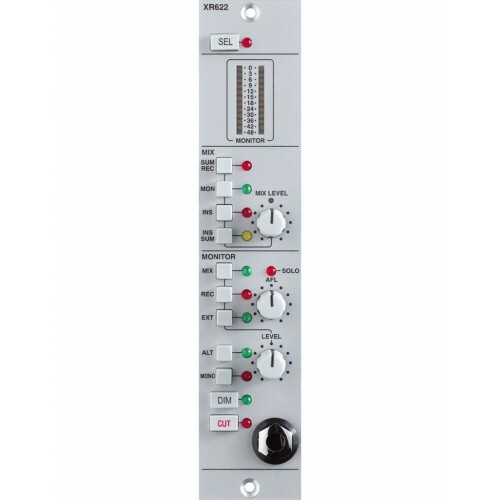 In addition to this it can be connected to two pairs of speakers (main/mini), and provides dedicated controls for level, dim, and cut.